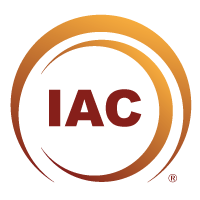 Join the IAC® and become a key member in the progressive, professional and global association of coaches committed to masterful coaching and raising the worldwide recognition of coaching as a pathway to creating sustainable personal, professional, and community success. The significance of self-directed continuing professional development. We don’t believe that coaching ends when the session or interaction ends. We realize and celebrate that part of the power of coaching is in the transformations that continue to occur between sessions – personal evolution supported and stimulated by what has happened in the coaching session. Our comprehensive certification standards are a unique brand in the cluttered world of “coach certification” programs. Our certification does not require a set number of training hours in order to assimilate coaching skills, or necessitate logging coaching hours. IAC® certification is based on an understanding of coaching, and demonstration of coaching mastery. 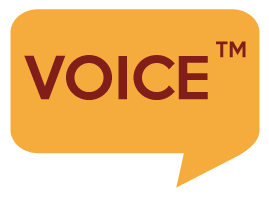 This is the foundation of the IAC®! And it produces Uncommon Coaching. Who, how, where, or in what style you coach is not tied to coaching masterfully. The IAC Masteries® were created with this in mind. The Masteries® are a set of coaching touchstones or foundation skills, created by an impressive international collaboration. These skills can be applied in virtually any situation where the goal is to empower, expand and provide relevant, culturally appropriate and unlimited opportunities for the client. Since 2003, the IAC® has attracted over 25,000 coaches interested in furthering the interests of coaching clients worldwide through a rigorous certification of coaches, a membership made up of the most progressive and forward thinking coaches, and the highest ethical, professional and business standards. Are you wanting to join the IAC and are interested in immediately pursuing the MASTERIES PRACTITIONER (MP) designation you can purchase the discounted “MP” package at a special price of US $319. The MP package includes one Annual Membership (US $169), one On-line test (US$ 97) and one Masteries Practitioner Development Plan (MPDP – US $150). The package offers an attractive saving of US $97. When you purchase the MP package, you are expected to complete the process in one year. If the process extends beyond a year, members are required to renew their annual membership at fees prevalent at that time.